Today our Ambassador Theme has been updated to version 1.0.5, which contains a couple of important updates that I would like to address in this post. Ambassador Theme is our first theme to see Events integrated into it, and the rest of the themes will be updated in the nearest future. We are using WordPress custom post types to create Event posts, which are just like regular posts, but with additional options. This is similar to the Testimonials integration in all of our themes, which is also achieved thanks to custom post types. 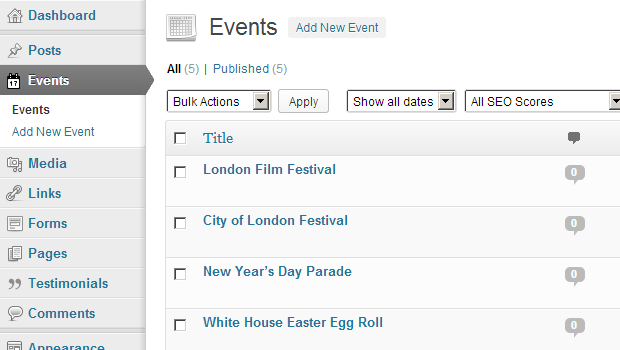 Click to see a live example of the Events page template. Here you can read an article about the benefits of using Events on a hotel website. 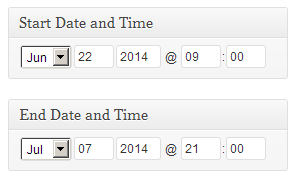 The complete changelog for the theme can be accessed directly from Dashboard > HermesThemes > Theme Options page. If you need help updating your copy of the theme, please post in the Support Forum.